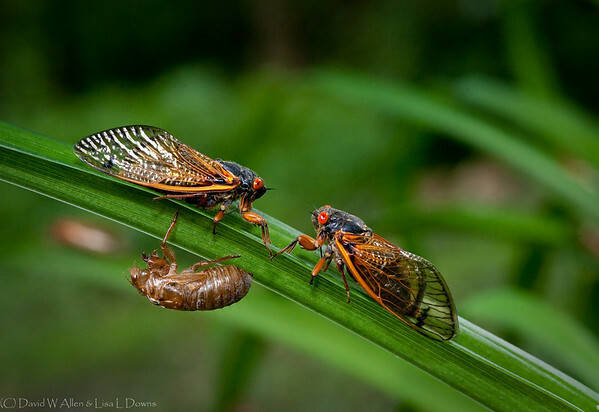 In May of 2015 these seventeen year cicadas suddenly emerged from the ground and were seemingly everywhere in our front yard and around the neighborhood. They were very loud, but we really did not mind the noise because that was all part of the fascinating experience and we knew it would only be a temporary disruption. These two mature ones were facing off on one of our Day Lilies just above an empty chrysalis still clinging to the same leaf. This was taken using a macro lens.